Product prices and availability are accurate as of 2019-04-16 13:55:27 UTC and are subject to change. Any price and availability information displayed on http://www.amazon.com/ at the time of purchase will apply to the purchase of this product. Keeping up with your kids when they're awake is hard enough, so let the Sorelle Furniture Toddler Rail keep them safe while they sleep. This easy-to-install toddler rail kit turns your Sorella crib into a toddler bed, providing extra room to sleep as they grow. The hardwood construction and range of non-toxic finish options coordinates with other pieces in Sorelle's many nursery collections, so you can be confident you'll always have the look you want. 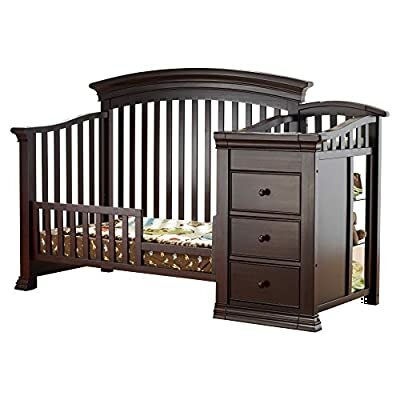 This toddler rail is for use with Sorelle's Napa and Torino regular cribs.